Internet providers are also starting to throttle download speeds for various Kodi add-ons and running a VPN service will usually help with buffering as well. Last and certainly not least, many government agencies are starting to reprimand those who are using certain Kodi add-ons, that provide free movies, tv shows, live channels, etc. If you are one of those people, you should protect your identity with a VPN on your Kodi box. A VPN or virtual private network will encrypt your traffic and provide you with a new IP address, which will hide your streaming activity from your Internet Service provider. Your connection to the Internet will become anonymous, which will provide you with the privacy that you deserve. Some of you may have received threatening letters from your Internet service provider, claiming that you have downloaded or streamed media that has a copyright. They may even tell you that you may be contacted by the authorities for copyright infringement. By installing a VPN on Kodi, you will not need to worry about receiving these letters anymore from your ISP. Unfortunately, there is no good Kodi addon that allows you to set up a VPN unless you are running LibreELEC or OpenELEC which is a fork of the popular media application. Both of these forks have a Kodi addon that allows you to set up a VPN service directly within Kodi. Most people want to run the main Kodi branch on an Android-based operating system and also use a VPN to protect themselves so these two alternatives are usually not an attractive option and that is the reason for this guide. 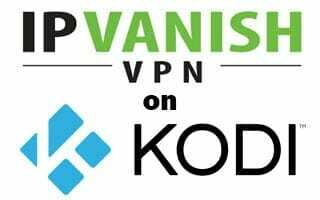 The easiest way to hide your IP address when using Kodi is by simply installing a VPN service onto the streaming device that you are currently using. This will take less than three minutes with my tutorials below. I have created numerous tutorials that will walk you through the step-by-step details on how to install a VPN on the following Kodi boxes. Also, don’t forget to use your VPN account on the other devices that you use to connect to the Internet with. IPVanish provides a 7-day money-back guarantee. Note: IPVanish provides a 7-day money back guarantee if you aren’t happy with their service. New – you can now use one IPVanish account on up to 10 devices simultaneously! Register for IPVanish Account by Clicking Here. Write down your IPVanish username and password after you register for your account. Determine which Kodi device(s) you want to install VPN on and proceed to the respective tutorial below. Prior to creating tutorials for IPVanish, I thoroughly tested the top VPN providers. If you are running Kodi on your computer such as Windows, Mac, or Linux, most VPN services provide an application that you can download and install onto your system. After you install the application, you simply input your VPN username and password into the login area. Keep in mind that you can also use your VPN service on your other Internet-connected devices that you frequently use. Do you travel? If yes, you should NEVER connect to a public wifi hotspot unless you are running a VPN service. You can use one IPVanish VPN account on up to ten devices simultaneously! My VPN service of choice is IPVanish as they provide the fastest download speeds among the various VPN providers that I have reviewed. The service works very well on all Kodi boxes, which isn’t the case for most VPN providers. You also have the option to use the same account on up to ten devices at the same time. What is the best free VPN service for Kodi? There are free services but keep in mind that they are making money in one way or another. More than likely, they are either selling your data to a 3rd party or malware is being installed on your device when you install their application without you knowing it. Also, free services usually result in very slow download speeds which would not be ideal for Kodi boxes. You get what you pay for in this market and I strongly suggest not using free services as they can’t be trusted. Why isn’t my IP address changing within Kodi? When dealing with network-connected devices, you have an external IP address and an internal IP address. The VPN software will change your external IP address which is the address that your Internet Service Provider assigns to your connection. An internal IP address is an address that your router assigns to all devices within your network. You only need to be concerned about your external IP address when using Kodi and this is what the VPN should be masking. As long as IPVanish is on your device and connected, you are protected. Troy: I downloaded and installed a VPN directly directly onto my router. I have 2 issues: 1) Experiencing DNS leakage. According to the VPN provider and the router manufacturer the problem is with the internet provider. 2) Unable to watch Netflix when the VPN is engaged. Have you heard of these problems? Any suggestions? When I used to use a VPN through Dashlane it automatically connected and I did not have to pick a country, and I always got a larger amount of sources for video streams in Kodi. With IPVanish I just signed up and it makes me pick a country, and I’m not getting more sources to choose from which I thought I would. Is there a certain thing I have to do using IP Vanish to get more streaming sources on Kodi? Lisa, you don’t need to pick a country. On the main screen, just keep it set at best available for everything. Question…I’m following your turtorial on downloading add-ons to Kodi and none of the “builds” are working and I’m receiving error messages. I connected my IPVanish account to my firestick (and it’s running in the background) but I’m still receiving the same result. I’m following step by step. Are there any additional tips you have for me? Thanks! Hi Kat, please provide additional details. What error are you getting? After resetting the firestick and the IPVanish apps it finally worked. I truly appreciate you reaching out to me. I absolutely LOVE your supercharge guide! It’s extremely easy to follow and has great tips. Please continue to keep us (I am referring to the “Please help me save money” crew) informed on all the lastest and greatest apps. Thanks again! I just purchased a Raspberry Pi 3 B+. Will IPVanish install on that and if so which tutorial do I use? I have tried using NordVPN on the Android box (8Core, 32/3Gb 6.2.1 Android), but since it installs it on startup of the box, it does not allow my TV service to work, since they do not work through a VPN with their service. So I need a VPN that only runs in Kodi, and switches off when outside of Kodi. I wonder which .APK or add-on will do that. Doesn’t Nord allow you to disable it? Hi, I have a mygica box that we use Kodi on. Which guide is appropriate for installing a VPN onto the box or should it be installed on our router. I’m in Canada is that makes a difference. Thanks!! I have not used Atom so that could be your problem? Thank you for all the great work you do for all of us. I do have a question? I have installed IPVanish. I also have Real Debrid. It seams when I connect the VPN my real debrid does not work. When the vpn is disconnected it works fine. I am doing something wrong or does it not work when the vpn is on? Please advise if you have any help or suggestions. Hi Tim, when you pair RD with any app or Kodi, you must make sure that VPN is off. Once you have paired, you can turn back on. If still having problems, try changing the server that you are connecting to within IPVanish until you find one that works.